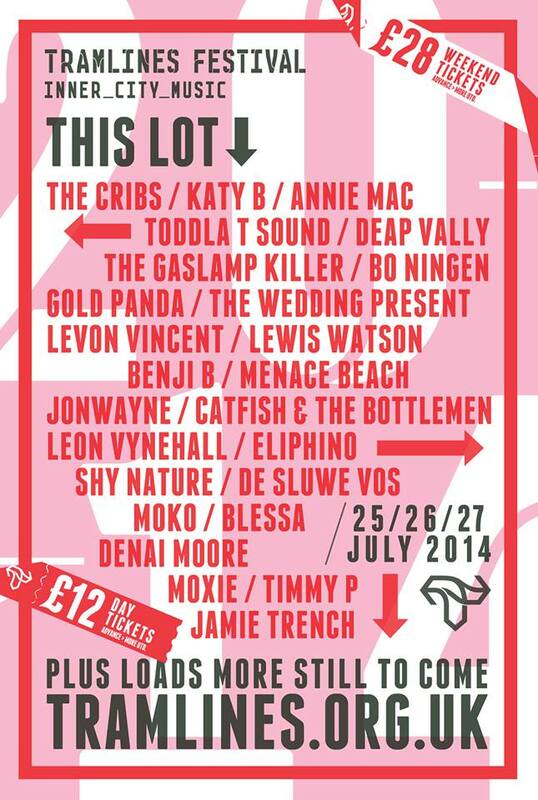 Sheffield’s biggest festival hits the city again on the 25-27th July 2014. The lineup is as big as ever with the likes of Public Enemy, Annie Mac, Katy B, Eliphino, Katy B and Leon Vynehall all making an appearance. In case you don’t already know, Tramlines Festival takes over the city centre with events on at most of the clubs and bars and a one-off outdoor stage on Devonshire Gree, (big old patch of grass that can accommodate hundreds of folk). Proving their worth in terms of diversity, almost every single genre is covered with artists at the very top of their game. You must be thinking that a festival of such high-calibre must come at a hefty cost – on the contrary, it’s by far the best festival in the country in terms of cost and entertainment. A weekend ticket will set you back £28 for 3-days whilst day tickets are priced at a small fee of £12 – you probably end up spending more buck on a normal gig/club night. More info HERE and ticket link HERE.